Gorgeous!!! Though it came all in pieces-not broken! Had to put it together. My sis and I spent about an hour doing our puzzle. But so worth it! Buying 2 more! 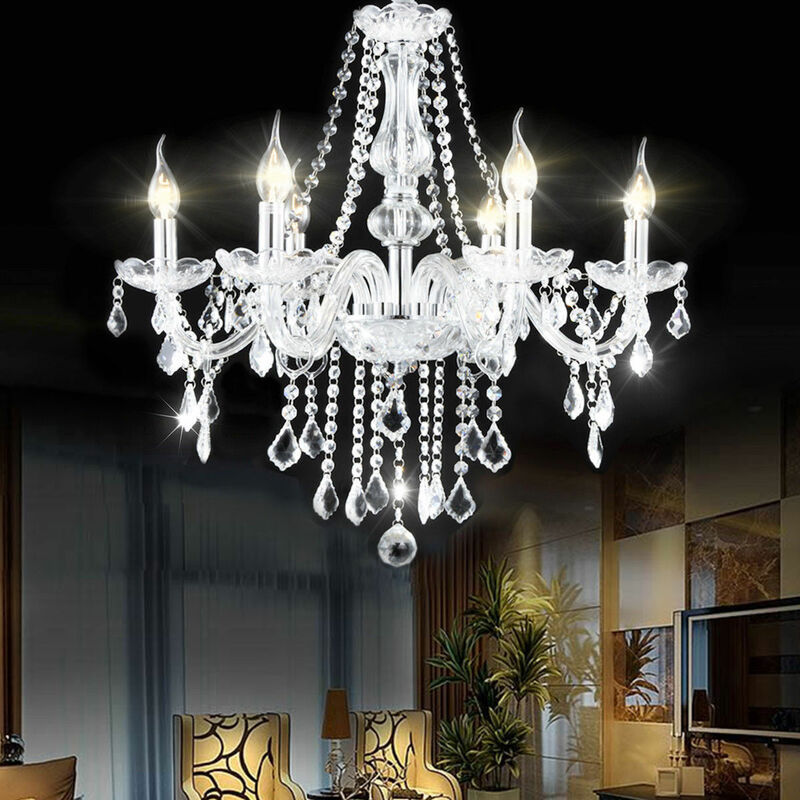 Home territory searches the web to find the best prices and availability on Chandeliers and related products foir your home like Costway Elegant Crystal Chandelier Modern 6 Ceiling Light Lamp Pendant Fixture Lighting. For this page, related items include products we find that match the following keywords: "Chandelier" at our vendor partner Walmart - Click More Info / Buy Now to check for price rollbacks!. Costway Elegant Crystal Chandelier Modern 6 Ceiling Light Lamp Pendant Fixture Lighting is one of 39 Chandeliers and related products available for sale through HomeTerritory.com, If you have any questions on this product, please give us a call at 734-971-1210 during the hours of 9am - 5pm EST for assistance. Thank you for shopping at Home Territory, the home furnishings superstore!